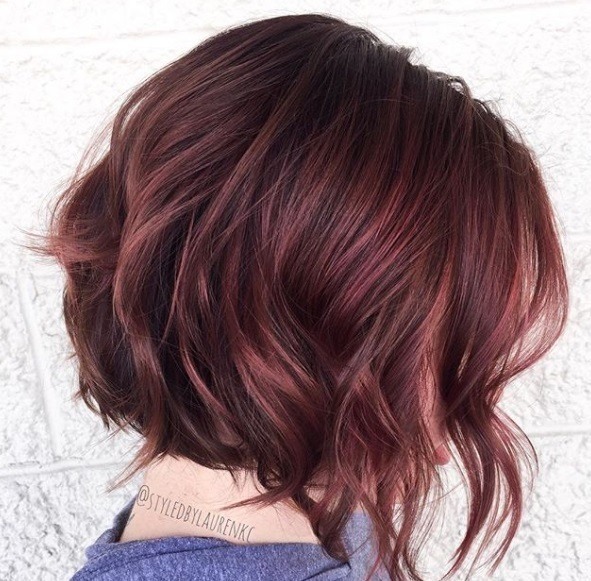 Red violet hair colour ideas so hot, they shouldn’t be kept a secret! 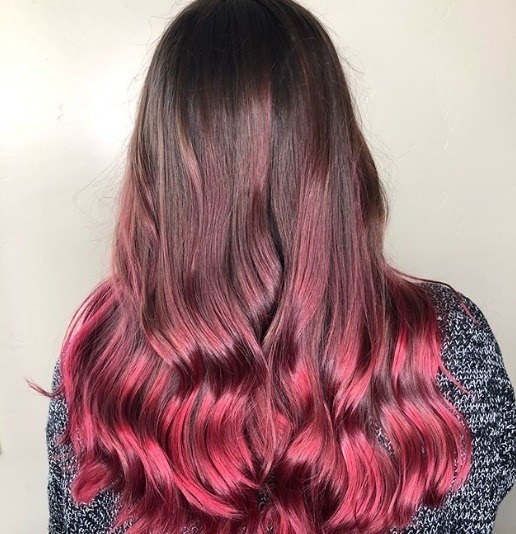 Looking for an update to rose gold hair? You’re in luck because it’s all about red violet shades this season! 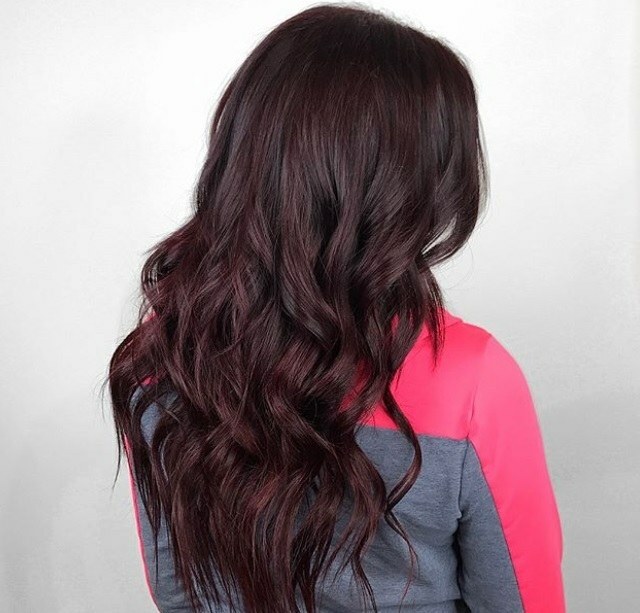 We know what you’re thinking: what is red violet hair and why should I get it? Well, it’s a universally flattering hue that marries together sizzling red tones with cool violet ones for a striking effect. 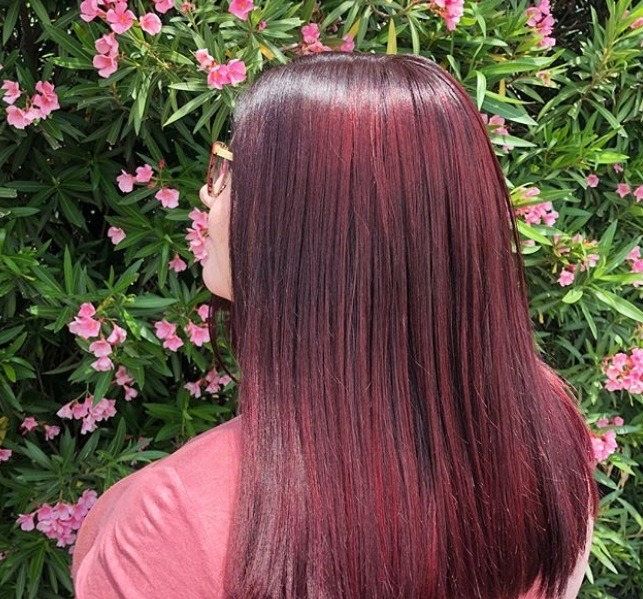 If anyone’s going to convince us to try a red violet hair colour, it’s this Instagram beauty and her ultra-glossy, sleek tresses. Just look at how it shines! Editor’s tip: Want to ensure your red tresses are taken care of? 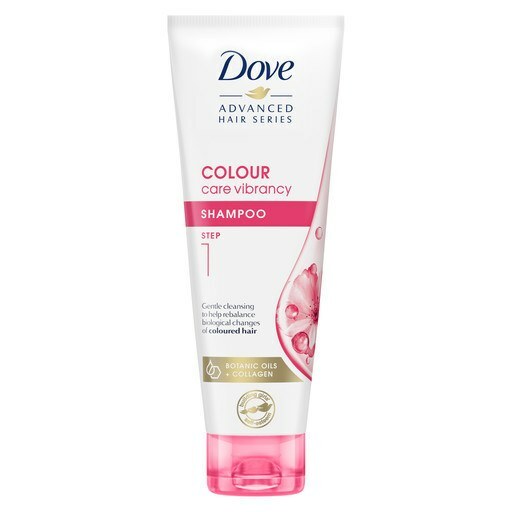 You’ll need to add the Dove Advanced Hair Series Colour Care Shampoo and Conditioner to your hair wardrobe, pronto. Thanks to a powerhouse of hair-colour-friendly ingredients, this unique duo will help prolong the vibrancy of your colour and nourish it, too. Bonus! Not one for bright and beautiful hues? 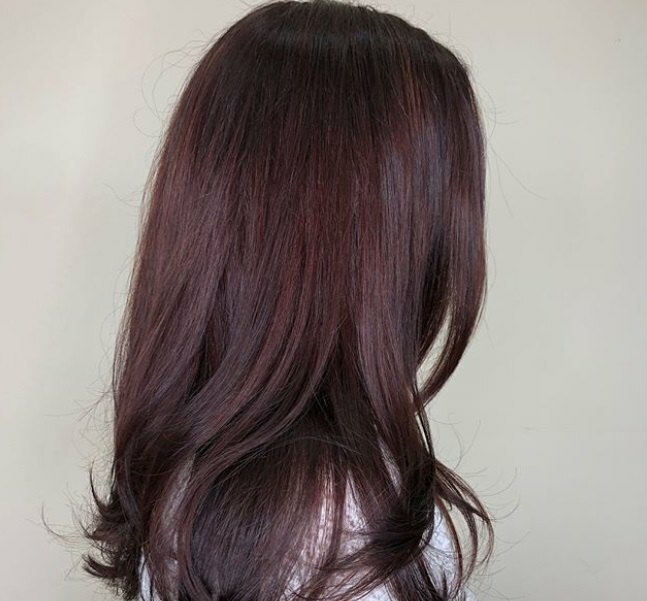 Then, this deliciously dark red violet hair colour is all you need to look at to convince you to take the colour plunge. Next read: How to curl your hair with a curling wand. Calling all experimental brunettes! With this neon pink and red violet hair colour, you can instantly take your dull strands from drab to fabulous. 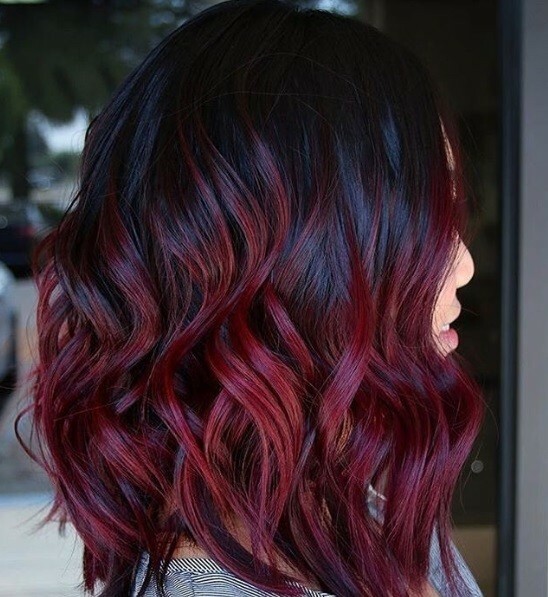 Next read: How to rock red ombre hair. Keep your cherry red hue looking California chic by styling them into undone, beachy waves. Editor’s tip: Want your beach-perfect waves to last? You’ll need the TONI&GUY Wave Memorising Balm, which has clever wave recall technology in it. 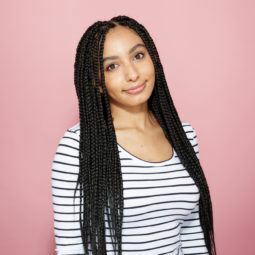 So, when your waves start to fall flat, you can just give them a quick scrunch and they’ll look mermaid-worthy again. 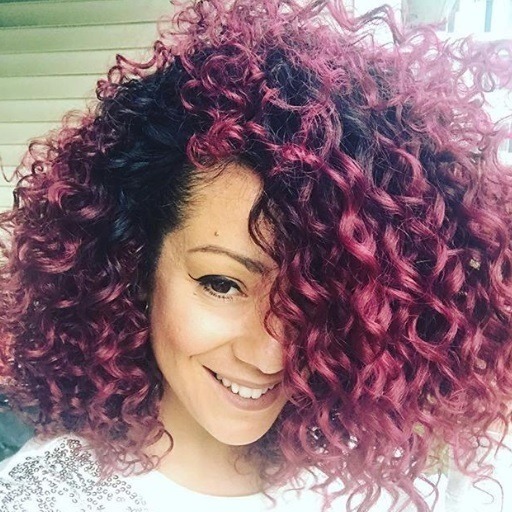 Bet you didn’t know that red violet hair is great choice for those with natural curls! Next read: Curls and ombre do work, and these inspiring examples prove it. Can’t decide whether to get rose gold hair or red violet hair? You won’t need to worry about picking just one — especially with this double tap-worthy colour combo around! Think that having very short hair means you can’t jump on the red violet bandwagon? 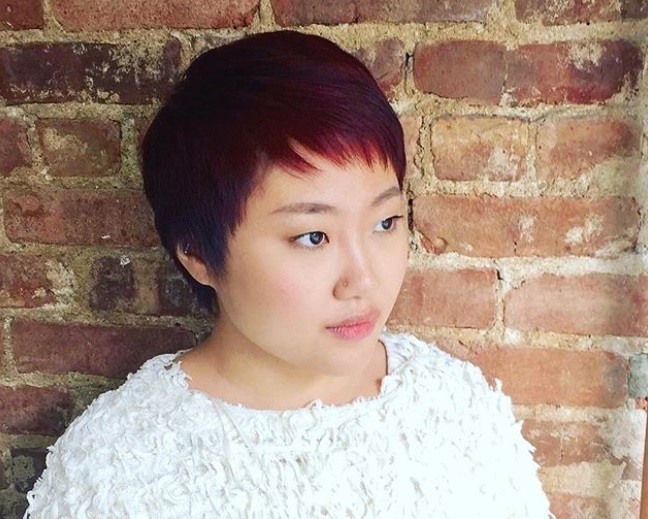 Well, this dazzling dyed pixie haircut will make you think again! This is the only red hair colour guide you'll ever need! Jesy Nelson debuts new fiery orange hair - and we love it!